Hands up those of you who, after the initial excitement of spying that little blue line thought immediately of all those delicious treats you could now indulge in-after all, you’re going to put on weight anyway, so why not? ‘Pregnancy is a time when you have little control over the changes happening to your body, and lots of women indulge in foody treats in a way they never would if they weren’t expecting,’ says Prima Baby’s midwife Nikki Khan. ‘It’s perfectly understandable-your waistline’s expanding anyway, and an extra choccie bar feels justified when some of your usual favourite foods (and wine!) are off limits. But remember that pregnancy is not a green light to eat to excess; the old saying that you’re “eating for two” is a myth! No one’s saying you can’t have a few threats, but remember that your baby “eats” what you eat, so a healthy balanced diet is best for you both. This way you’ll avoid adding excess pounds that might be hard to shift afterwards, too’. During the first trimester (weeks 1-12) you may feel sick and tired, and have a smaller appetite than usual. If you can, eat little and often, to keep blood sugar levels stable, and many women find this helps with the sickness, too. you don’t need any extra calories at this stage, but it’s important to eat healthily so that you and your baby are getting all the nutrients you need. If you’ve been very sick or lost appetite, you might not gain any weight, and may even lose a few pounds. This is normal -you’ll gain most weight later on pregnancy and should only gain around 5lb (2.3 kg) during first 12 weeks. You may appetite returns with a vengeance during the second trimester (weeks 12-24). As long as you’re eating sensibly, this is nothing to worry about. From week 20, you can expect to put on 1lb a week for the rest of your pregnancy, but it might not be a steady weight gain- 3-4lb some weeks and then nothing the next. It’s at this stage you’ll need those extra calories-between 200-300 a day. It’s not much-a couple of slices of toast with a small can of baked beans, for instance. If you suffer from heartburn or get full super-fast, you might need to eat for or five small meals a day rather than three larger ones. 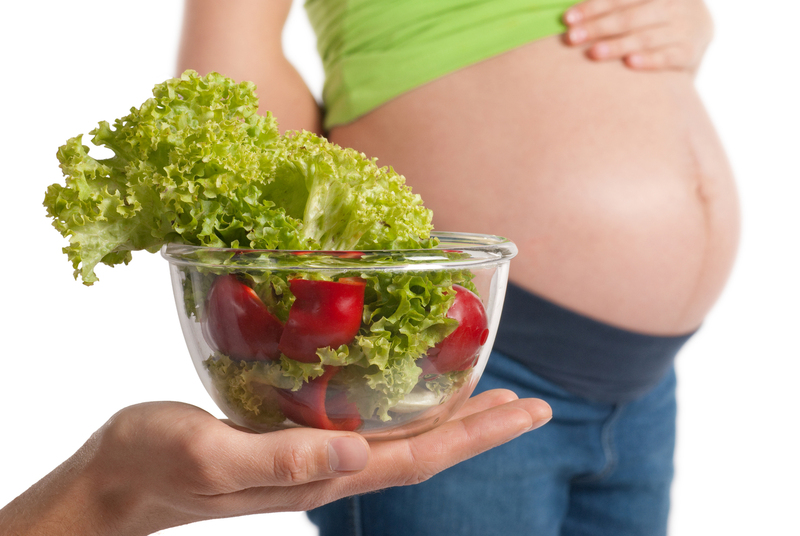 Don’t be tempted to skip meals-you need to keep your energy up for the birth. Q What if I was under-or overweight before I got pregnant? A Underweight women are advised to try to maintain a healthy weight during pregnancy, as being very underweight can result in a premature birth or low birth-weight baby, so ask your midwife for advice. If you were overweight before conceiving, or your midwife is concerned that you’re gaining too much weight now you are pregnant, she may advise you to cut back on foods that are high in sugar or fat, such as cakes, biscuits and chocolate. Savoury snacks such as sausage rolls and pies are also very high in fat, so opt for healthier snacks, such as oatcakes and hummus with carrot or celery sticks; plain yogurt with fruit, or dried fruits and nuts. Q When and how often will my midwife weigh me? A Mums-to-be used to be weighed at every midwife appointment, but this is no longer the case. Your midwife will weigh you at your first appointment (your booking-in appointment) with her, so that she can work out your Body Mass Index (BMI), which measures your weight in relation to your height, and tells your midwife whether you’re in a healthy weight you’re in a healthy weight range. Depending on your BMI, she’ll then advise on what’s a healthy weight gain for you. 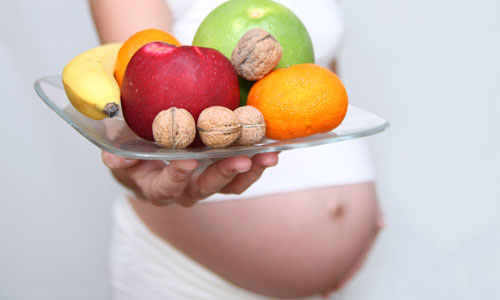 Q Is it considered safe to diet during pregnancy? A Health experts agree that dieting in pregnancy isn’t recommended, as it can leave both you and your baby deficient in vital nutrients. Instead, focus on eating a balanced diet of wholesome, healthy foods (with the odd treat thrown in!) and try to relax-weight gain is a sign of a normal, healthy pregnancy, so as long as you eat sensibly, there’s no reason to worry. 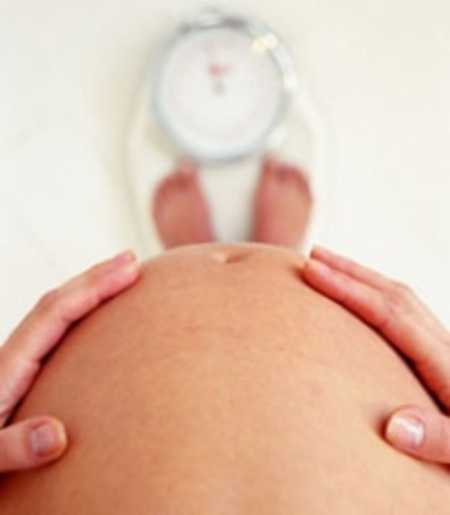 Q Will gaining too much weight too quickly really affect my baby? A Carrying excess weight will make you feel more tired, and could even lead to pregnancy diabetes, which is where the mum-to-be has very high levels of sugar in her blood. It increases the risk of having a very large baby, which may lead to problems during labour and birth. Ensuring you have a good, balanced diet is easier than you think. Follow the plan here and you’ve got it cracked! Hi. I just wanted to firmly leave a nice quick observation and also inform you learn that I’ve been pursuing your personal web-site for quite some time. Keep up the extraordinary task and I’ll be returning back again consistently once again.